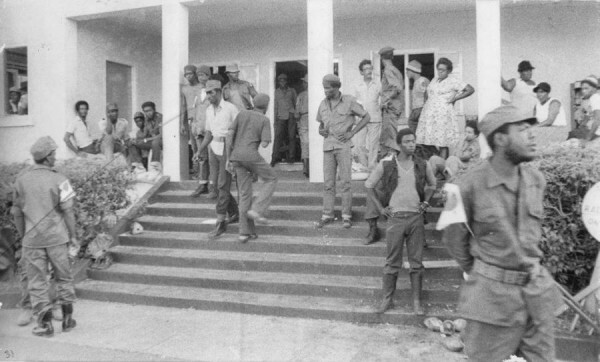 On this day, 13 March 1979, members of the National Liberation Army, the armed wing of the New Jewel Movement, attacked the Grenada Defence Force (GDF) barracks at True Blue, and began the Grenada Revolution. NJM supporters and NLA fighters gathered at Radio Free Grenada on the morning of 13 March 1979. 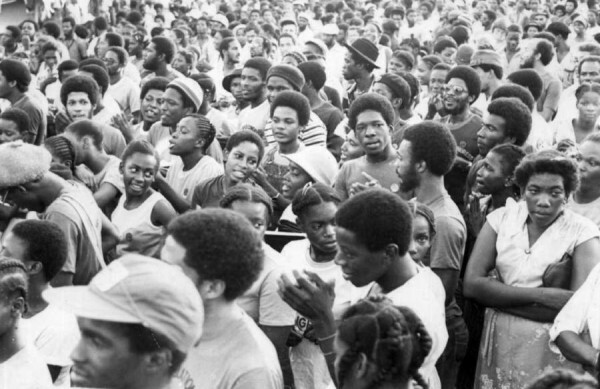 Courtesy of the Grenada National Museum. 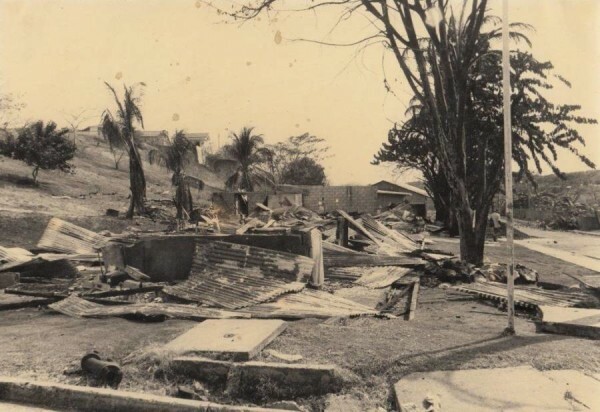 Burnt out remains of the Grenada Defence Force Headquarters at True Blue, St George on the morning of 13 March 1979. 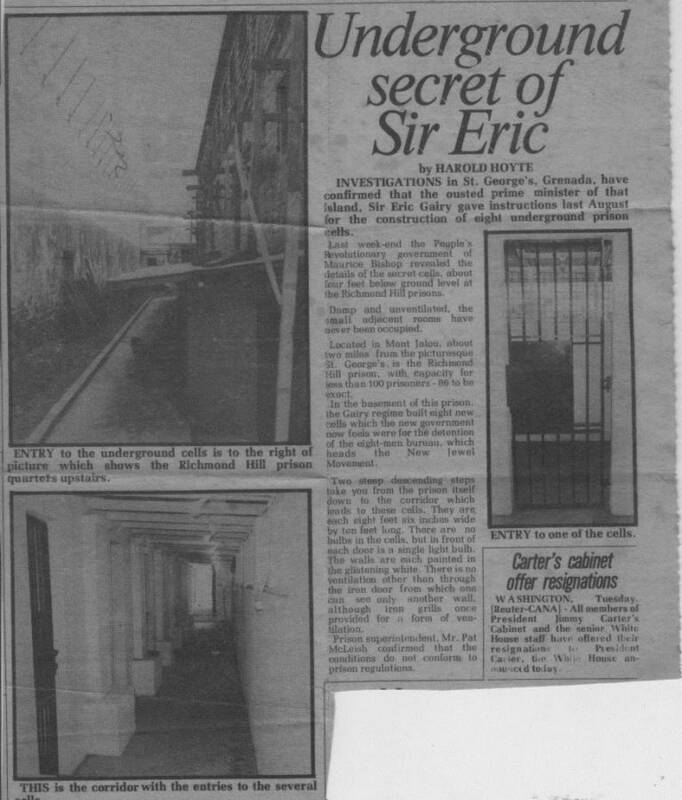 Courtesy of the Grenada National Museum.